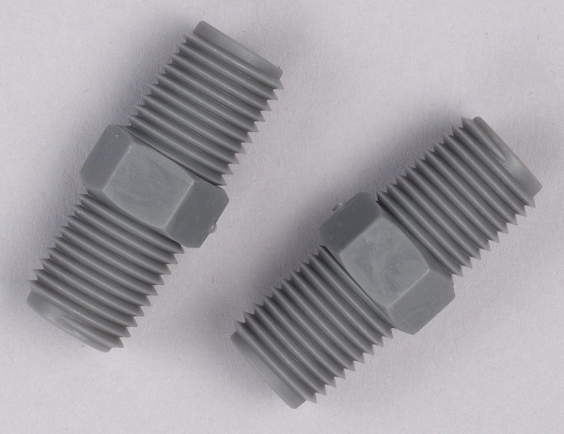 Many common engineering applications call for fasteners made from chemical resistant plastics. Not all plastics hold up well in extreme environments. The engineer needs to be sure that his fasteners will last as long as the rest of his materials. You should always do testing to ensure that you make the right material for your specific application. However, there are certain chemical resistant plastics which tend to hold up well in the most environments. PVDF resins are used in the power, renewable energies, and chemical processing industries for their excellent resistance to temperature, harsh chemicals and nuclear radiation. PVDF is also used in the pharmaceutical, medical, food & beverage and semiconductor industries for its high purity and availability in a multitude of forms. it is also one of the most popular chemical resistant plastics in the mining, plating and metal preparation industries. This popularity is due to PVDF’s resistance to hot acids of a wide range of concentrations. PVDF is also used in the automotive and architectural markets for its chemical resistance and excellent resistance to UV degradation and extreme weather conditions. PEEK’s superior strength and chemical inertness makes it one of the best chemical resistant plastics for medical implants and orthopedic surgery. PEEK exhibits excellent mechanical and thermal properties, creep resistance at high temperatures, very low flammability, hydrolysis resistance, and radiation resistance. These properties make PEEK a preferred product in the aerospace, automotive, telephonic, and chemical processing industries. PEEK is used for wear and load bearing applications such as valve seats, pump gears, and compressor valve plates. 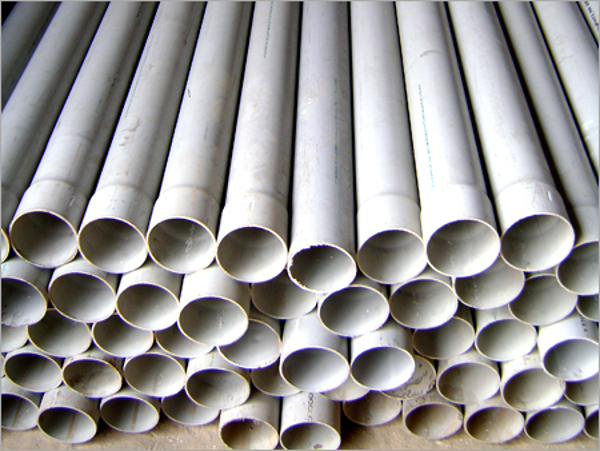 Due to its wide use as indoor and in-ground wastewater piping, thousands and thousands of tons of PVC are produced every year, making PVC the third most produced plastic. PVC is extensively used in construction as it’s more effective than traditional materials such as copper, iron, or wood. PVC can be made softer and more pliable with the addition of plasticizers. In this form, it is used in clothing and upholstery. PVC’s status as a chemical resistant plastic makes it an ideal material for window and door frames, insulation on electric cables, outdoor signs, sporting equipment, medical tubing, flooring, green houses, and outdoor playgrounds. For those of you with an eye for trivia, a fun fact is that one of PVC’s early uses was in vinyl records. PVC has good flexibility, is flame retardant, and has good thermal stability, a high gloss, and low (to no) lead content. Polyvinyl chloride molding compounds can be extruded, injection molded, compression molded, calendered, and blow molded to form a huge variety of products. CPVC resin is made by the chlorination of PVC resin and is used primarily to produce piping. This material shares many properties with PVC, including low conductivity and excellent corrosion resistance at room temperatures. The extra chlorine in its structure also makes it more corrosion resistant than PVC. Whereas PVC begins to soften at temperatures over 140°F, CPVC is useful to temperatures of 180°F. Like PVC, CPVC is fire-retardant. CPVC is readily workable and can be used in hot water pipes, chlorine pipes, sulfuric acid pipes, and high-pressure electric cable sheaths. Have you used any of these chemical resistant plastics in your applications? Or maybe you prefer a different material? Please feel free to share your thoughts and experiences in the comments sections below. Looking for a comprehensive chemical resistance chart for the top plastics? 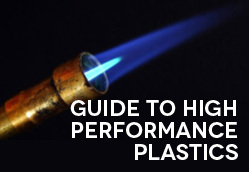 Check out our High Performance Materials Guide!